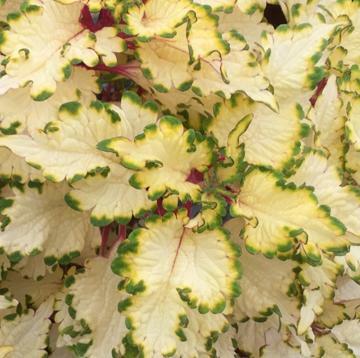 The leaf on this coleus is mostly white with a great contrasting green, scalloped edge. Pink stems make a lovely highlight. We've never seen a coleus quite like this one before.